De Gea, Oblak and Ter Stegen are expected to become the best goalkeepers in FIFA 20. Ter Stegen’s rating is the most questionable, his stats haven’t been that outstanding this year. Meanwhile, Courtois and Neuer will probably get a downgrade for their below-average season. We still have some time until the release, but we’ve checked out some stats and made our FIFA 20 best goalkeeper predictions. The new FIFA is on its way. We’re already super excited, although it still takes a few months until we can actually play with the game. However, we just can’t help ourselves and think about the new ratings. 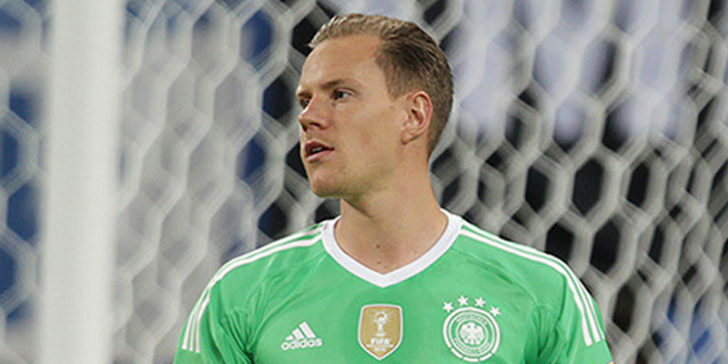 We were writing about the top 5 players in this article, and this time, we’ve made our best FIFA 20 goalkeeper predictions for you. Last year, David de Gea’s rating was 91, which made him the best goalie in the game. This wasn’t a huge surprise. Based on his stats (including his incredible xGA numbers) he was an obvious choice for the “Goalkeeper of The Year” title. However, this season he’s already made 2-3 major mistakes, and though his numbers are still decent, they’re not outstanding. At this point, we must ask a question: is there anyone in the world who might be better? This time, there’s no obvious candidate to get the 91 rating. In fact, we believe that it’s rather reasonable to put three keepers on the highest shelf. Our Fifa 20 best goalkeeper predictions show that these goalies are David De Gea, Jan Oblak and André-Marc Ter Stegen. This means a downgrade for David De Gea, an upgrade for Ter Stegen, while Oblak would keep his 90 rating. Both Courtois and Neuer are expected to receive a rating of 89, which means a downgrade for them. The Belgian has awful numbers this season. He conceded 33 goals in 18 league games (1.88/match, that’s the worst of the top 5 keepers), while he only had 1.55 saves per goal. Manuel Neuer’s stats are just as bad. The German only had 32 saves this season, while he conceded 25 goals, thus he had 1.22 saves per goal. These numbers are so tragic he should be happy if he gets away with his 89 rating. However, while De Gea did have his mistakes, numbers show that he’s still one of the most responsible keepers in the world. Unibet Sportsbook argues that Man Utd still have a chance for the top 4, and he has a key role in that. Furthermore, if we compare him to the other four top keepers, he has the most saves/game (4.42), most punches and the most successful goal kicks (and the longest ones alongside Oblak). Besides him, we must talk about The Atletico keeper, who only conceded 1.1 goals per game. That’s insane, but let’s not forget what a defence his team’s got. Oblak also had the second most saves this year, and the best saves per goal ratio by far (3.61). Out of the top 3 keepers Ter Stegen’s place the most questionable one. The German has been in a great form in the last few months, but if we look at his numbers, they’re not that outstanding. If we only make decisions based on the statistics, he should retain his 89 rating. However, he’s got better and better since the first part of the season. Online sportsbook sites in the UK argue that Barcelona are the favorites to win the Champions League, and Marca believes that Ter Stegen has played a key part in this. The odds on Ter Stegen to keep clean sheets in the next few games at Unibet Sportsbook show how confident the young goalie has become. Since some of the Barcelona defenders make more mistakes than before, he had the opportunity to show what he’s got. Some of the Barca fans argue that he’s already the best in the world. Can he be one of the bests in FIFA? Only time will tell, but if he can remain consistent until the end of the season, we believe he’ll get that desired 90 rating. Who Were The Best Goalkeepers in the Last Decade? The Championship Betting Odds Round 42: Can Leeds United Finally Make a Return to the Premier League? Kristof is a Sociology student at Corvinus University. He loves to write, especially when it comes to sports, politics or TV shows. Football is flowing in his veins.